Winter in Easton, PA. Morning on Northampton Street. 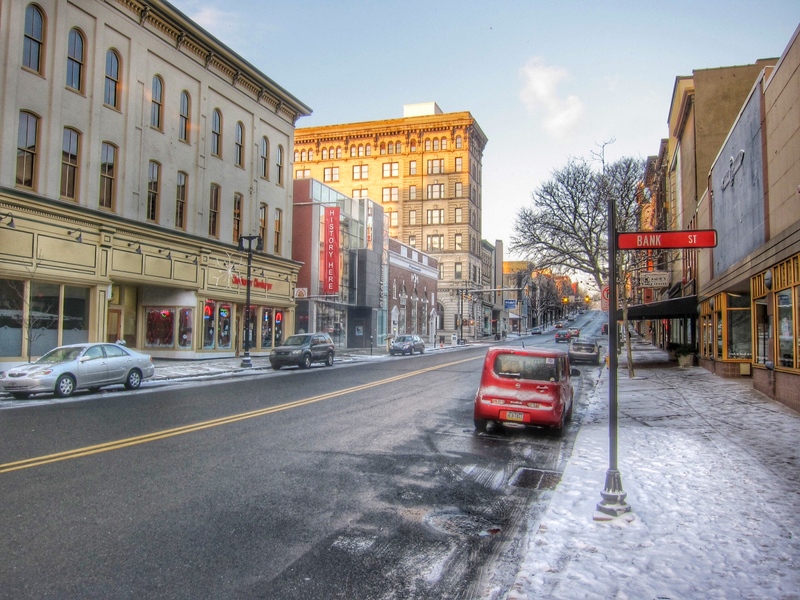 I start this blog in 2015 at the same place the I left off in 2014, on Northampton Street, in downtown Easton, Pennsylvania, although there are a few differences. This picture was taken as the sunlight of early morning was emerging vs stark darkness of nightfall and the view is facing west vs facing east. It reflects my optimistic view of the year ahead. I tend to try to look at the bright side of things, but there is another part of me that is a sober realist. So, I recognize that our country faces a wide variety of serious challenges, but I still have a lot of faith in America. I thought this scene captured the look of winter here very well. I took this picture shortly after dawn and particularly liked undisturbed snow on the sidewalks. I haven’t lived in the northeast since 2003, when I moved from New York City to Southern California, so it has been a while since I experienced a full Northeast winter. I did return this area to visit friends and relatives during my time in California, so I had some brief exposures to true winter weather during a few of those trips, but nothing close to living several consecutive months in the cold and snow. Now, to be honest, we really haven’t had too much snow so far this winter, but there have been plenty of sub 30 degree days, some with biting wind chill that makes it feel like 10 degrees or less. That might not sound like very appealing weather to most people, but I’ve enjoyed it. I think it is invigorating. Previous Post Downtown Easton, PA on a Cold December Night – My Last Picture of 2014.